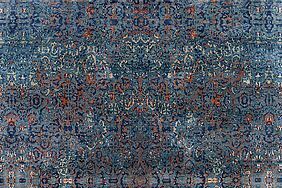 Like all rugs of the Sichouk Collection, also the Sichouk Karavia is a great masterpiece made of 100 percent finest pure silk. This high quality and exclusive material is sourced from modern silk mills in China and guarantees a brilliant shine and an exclusive feel. 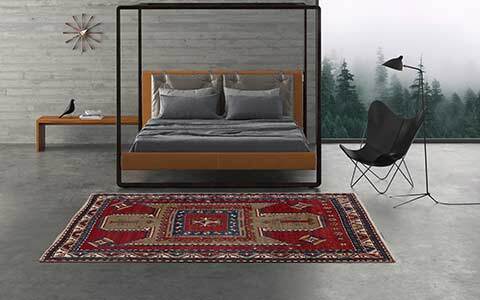 The careful weave ensures the longevity of these rugs, although they are made of the sensitive silk material. 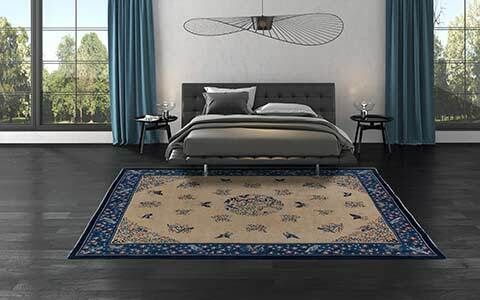 The accurate craftsmanship, such as the spinning of the silk and the traditional knotting of the carpets by experienced weavers, ensures the high quality of the carpets. Light blue, dark blue and beige are the main colours of the Sichouk Karavia, forming a very beautiful contrast. 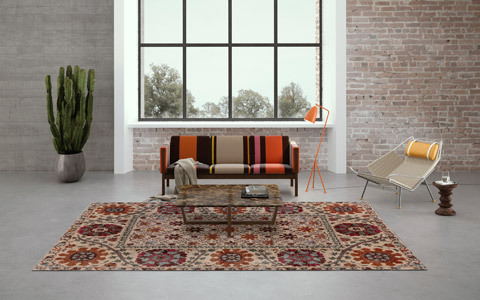 The additional colourful elements in orange, red and light green create the great look of this amazing carpet. 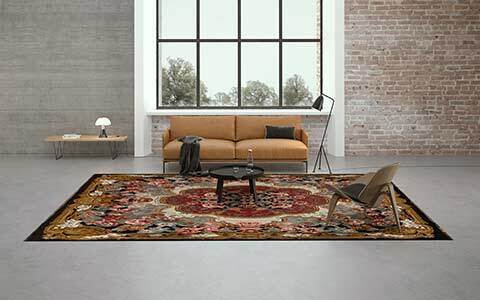 The traditional patterns of the carpet lay restrained in the background and get a modern appearance and unique look in combination with the bright colours. 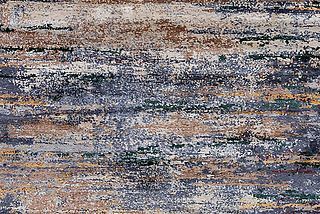 This makes the carpets of Sichouk Collection so exclusive – Mischioff always selects the colours individually for each rug, whereby each rug of the Sichouk Collection is an inimitable unique piece. Order The Sichouk Karavia For Your Range! 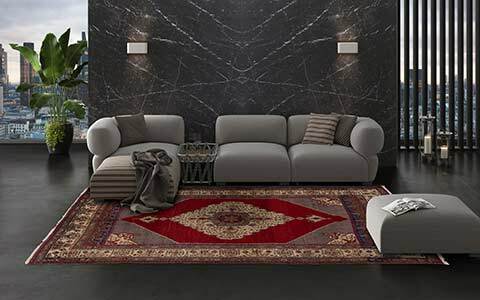 The Sichouk Karavia is available from stock in the size of 300 x 231 centimetres. 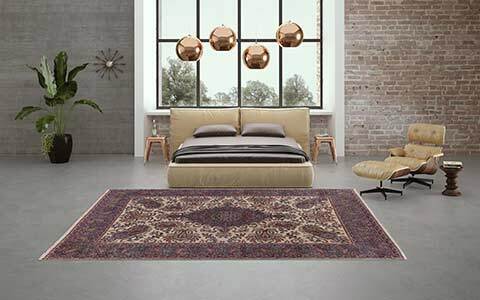 Do you want to order this particular rug for your shop? Or do you want to use it for an interior project? 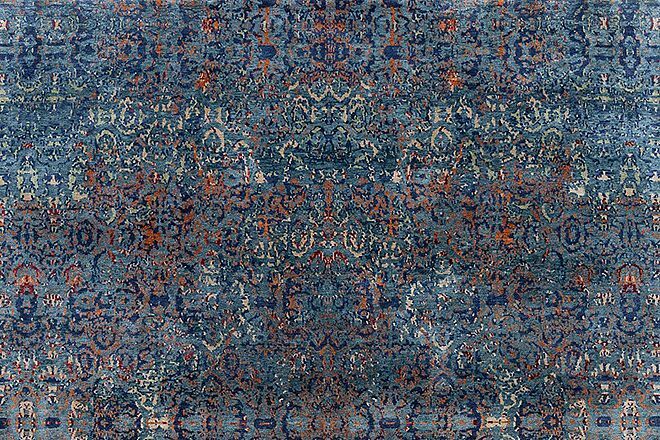 For further information about our rug of the month June 2016 or all other inquiries, you can contact us any time – we look forward to hearing from you!